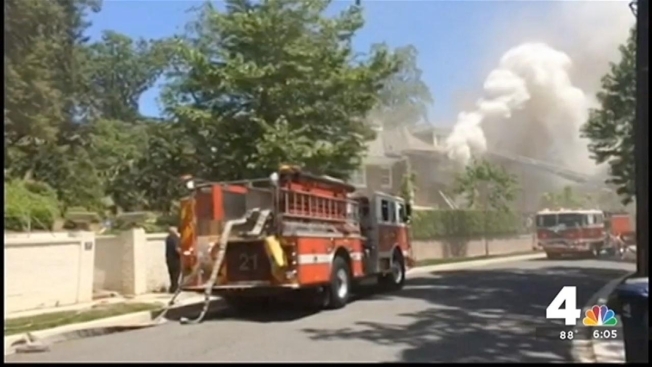 Investigators believe more than one person was likely involved in the shocking murders of a married couple, their 10-year-old son and their housekeeper, whose bodies were found after a fire was set at the family's upscale D.C. home last week, sources say. It's likely that the killers had knowledge of the family and how they lived their day-to-day lives, sources said. There was no sign of forced entry at the home. Savvas Savopoulos, 46; his wife, Amy Savopoulos, 47; their son, Philip, and housekeeper Veralicia Figueroa, 57, were found dead Thursday. Investigators believe it's likely that the killers gained access to the home Wednesday and kept the victims bound and threatened through Thursday afternoon, when Savvas Savopoulos gave them what they were looking for, sources said. A part-time housekeeper at the northwest D.C. mansion where four people were killed tells News4's Jackie Bensen an extensive home security system was in place. A longtime housekeeper for the Savopoulos family said she was a good friend of Veralicia "Vera" Figueroa. Nelly, who didn't want her full name used, owns her own cleaning company and worked for the family for more than two decades. Nelly allowed Figueroa to work with her at the Savopoulos family's home. On Wednesday, Figueroa texted Nelly to say she wanted to work at the home, and planned to finish by 3 p.m.
That evening, Nelly missed a call from Savvas Savopoulos, saying Figueroa was spending the night at the family's home. Nelly said Figueroa was hard-working and loved life. She'd come to the United States from El Salvador to earn money before planning to retire next year. On Monday, ATF agents and D.C. police continued to gather evidence at the Woodley Park home. Investigators returned to a Prince George's County church with bloodhounds to search for more clues in a suspected quadruple homicide and arson in an upscale DC neighborhood. In a Maryland suburb, authorities used a bloodhound in an effort to track down the person who torched a 2008 blue Porsche 911 stolen from the Woodland Drive NW home on the day of the fire. The Porsche was burned in the parking lot of St. Christopher's Episcopal Church in Lanham, the the last known location of a suspect in the case. 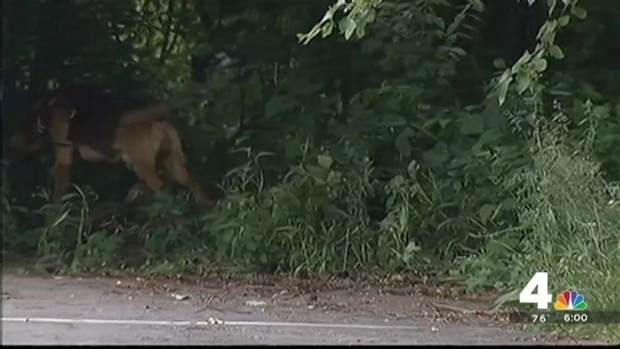 Investigators are working to learn why that person chose that location, and where he or she went after that. Over the weekend, D.C. police released surveillance video of a person of interest in the case, captured on a camera at a banquet hall near the scene of the car fire. The person is shown dressed in dark clothing. Firefighters arrived at the large home Thursday afternoon to find smoke and fire coming from the roof, and the four victims inside. They said one of the victims was bleeding from the head and had a heavy smell of gasoline when he or she was transported to Georgetown University Hospital. There's also evidence that points to arson. 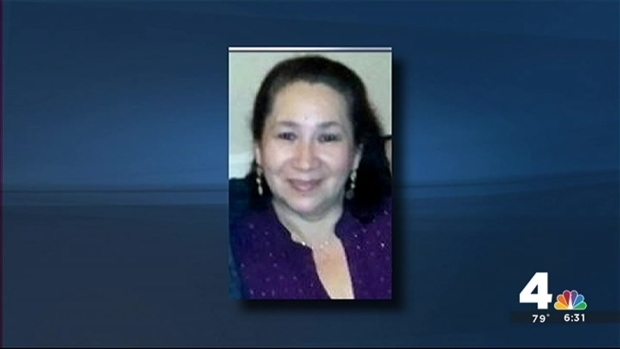 News4's Meagan Fitzgerald talked to the housekeeper of the family found dead in their northwest D.C. mansion Thursday. She described getting text and phone messages from both the family and her coworker before the house went up in flames, killing four people. Neighbors who have been in the home said the family had an extensive and valuable art collection, which was on display a couple of years ago during the Christmas house tour put on by St. Albans School, where Phillip was a student. A GoFundMe page was created to help with Vera Figueroa's funeral.